The two other politicians, who vied for a place in the second round but failed, are Francois Fillon (The Republicans) and Jean-Luc Melenchon (La France insoumise). They received 19.91% and 19.64%, respectively. The founder of the "En Marche!" 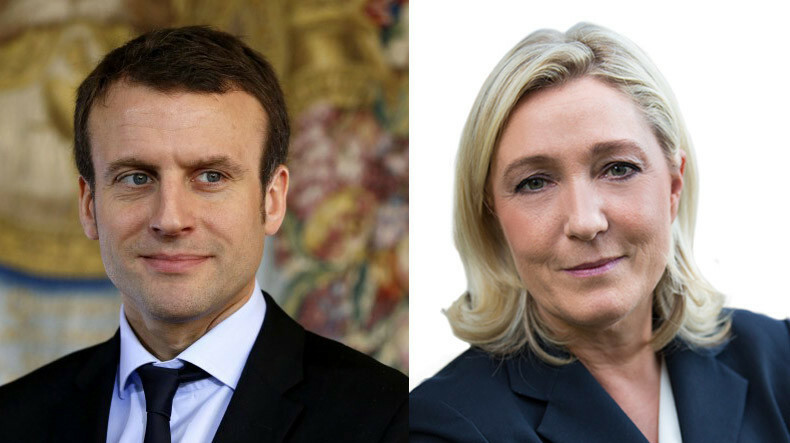 movement, former economic minister Emmanuel Macron, will face far-right candidate Marine Le Pen in the runoff of the French presidential vote on May 7. According to final results of the first round, Macron was declared winner, scoring 23.75% His opponent, Marine Le Pen, received 21.53% of the vote, according to TASS Agency. The founder of the "En Marche!" movement was among the last to make a public statement after the outcome of the vote became clear. He mentioned all other candidates, except Le Pen, by name and thanked them for an honest competition. "As our country faces unprecedented moments, marked by terrorism, economic problems, suffering of the people, the citizens of France have had their say and gave the most beautiful answer by coming to the polling stations en masse," he said at his electoral headquarters in Paris on Sunday evening. "They (the people) decided to put me to the first place in the first round of this vote, and I appreciate the honor and great responsibility that was bestowed on me."